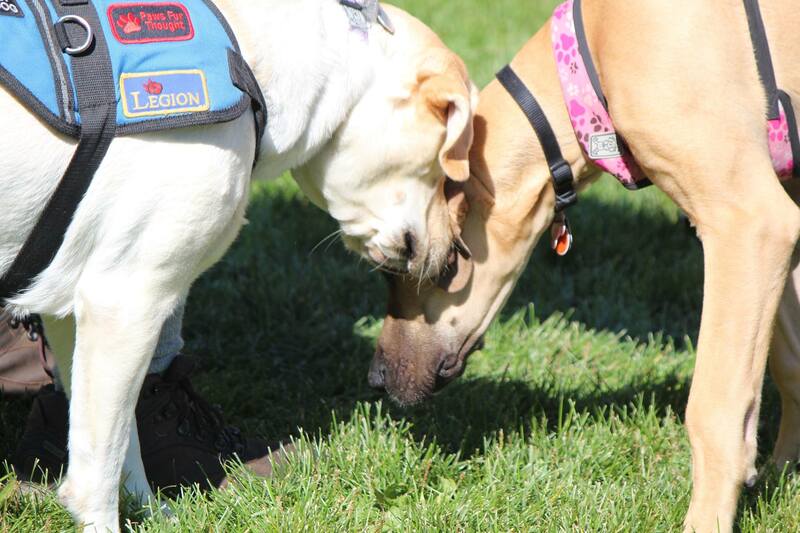 Last September, over 50 dogs and almost twice as many humans rubbed noses at the inaugural Trails N’ Tails charity hike raising over $2000 for canine rescue and veterans living with PTSD in need of service dogs. This year, tails are wagging as Muddy Paws Adventures teams up with the Mental Health Foundation of Nova Scotia to raise funds for their First Responder PTSD Service Dog Initiative. The Foundation, in partnership with military veteran and PTSD service dog advocate Medric Cousineau (Paws Fur Thought), launched the initiative in November 2014 and has since raised enough funds to match 32 service dogs with first responders in need. This year’s Trails N’ Tails charity hike takes place on Saturday September 19th. The 60 minute nature hike will weave through some of Hants County’s most picturesque trails in Uniacke Estate Museum Park, a perfect place to enjoy the great outdoors with your favourite canine. Participants have the option to make a donation or collect pledges. In addition to helping first responders, proceeds from the on-site BBQ, draws and games will go towards local animal rescue. Along with raising funds for our favourite canine related causes, Trails N’ Tails is designed to expose the mental health benefits of spending time in nature and the therapeutic advantages of dogs. For more info, visit https://muddypawsadventures.com/trails-n-tails-fundraiser/.